Tea and Craft: Time to recycle! I'm in LOVE! 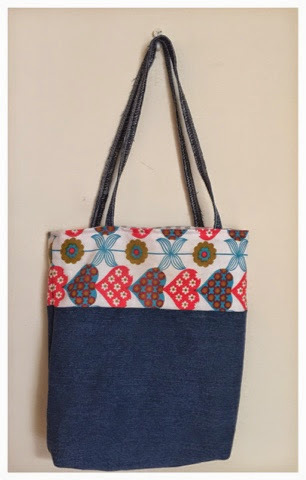 It turns out that sewing tote bags is very easy so I've made another one. This time I used my old jeans and my daughters old pants. It is time to recycle!